These days you can’t talk about cruise ship festivals without mentioning Holy Ship!, but long before Ship fam was even remotely a thing, Groove Cruise had the seafaring dance music scene on lock. The relatively newer Los Angeles sailings have just announced their 2015 lineup, and the roster’s looking as stacked as ever. Where Holy Ship! 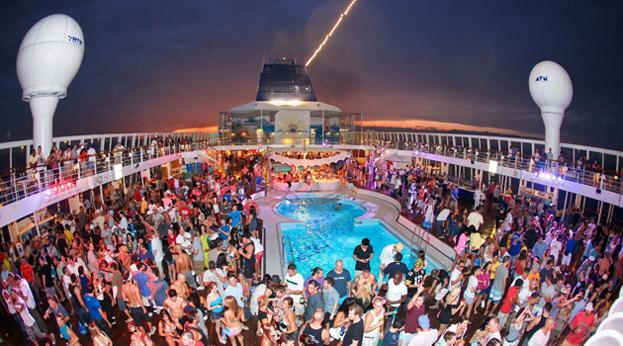 features largely EDM headliners, the lineup of Groove Cruise appeals to more of the underground enthusiast’s sensibilities. While mainstagers like DVBBS, Dirty South and Cazzette find their names among the ranks, the stages are loaded with elder statesmen like Kevin Saunderson, Paul Oakenfold and Guy Gerber as well. 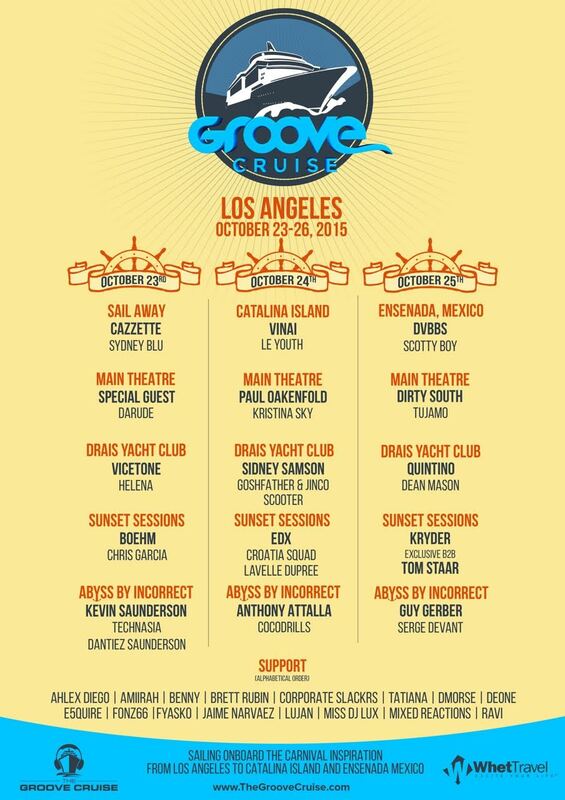 Groove Cruise Los Angeles departs on October 23rd, making stops in Catalina Island and Ensenada, Mexico before returning on the 26th. The original Miami cruises regularly take place earlier in the year, and are slated to return on January 22nd-26th of 2016. After looking at the lineup announcement below, tell us, would you consider attending Groove Cruise Los Angeles this year?